The Korean War (June 25, 1950 – July 27, 1953). was a result of the Cold War between the Soviet Union and the United States. Korea had been split into two sovereign states, who both claimed to be the legitimate government of all of Korea. A communist state was established in the north and a democratic state in the south. North Korean forces—supported by the Soviet Union and China—invaded the south. Twenty-one countries of the UN defended the south, with the US providing 90% of the military personnel. On July 27, 1953, an armistice ending hostilities was declared, and the 38th Parallel declared to be a “de-militarized zone” between the north and south. The Korean War has never been declared over. The United States, to this day, has maintained troops near Seoul to protect South Korea since 1953. 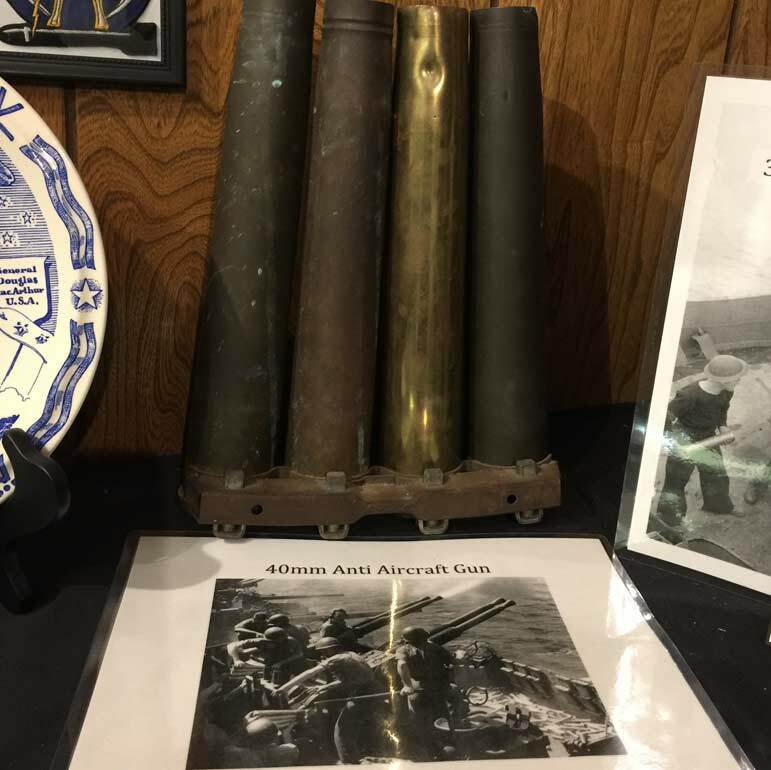 Actual weapons and artifacts form the Korean War and the Cold War eras are on display in this exhibit. 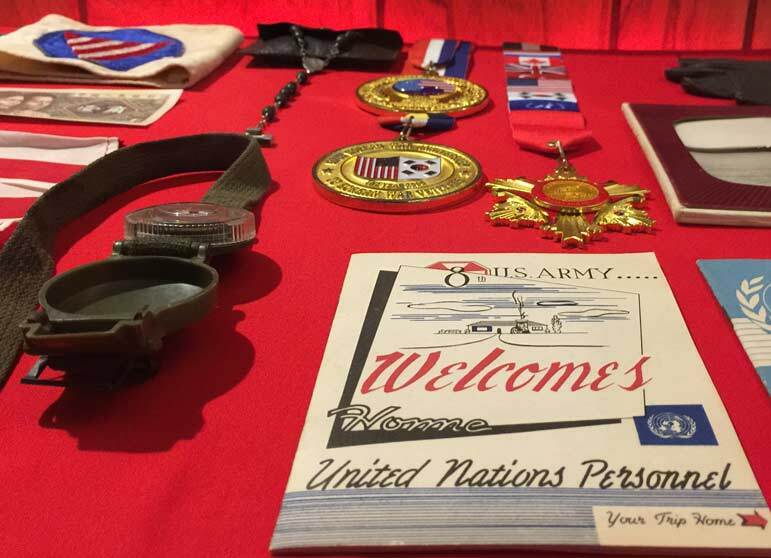 Several uniforms and flight suits from local veterans are highlighted. 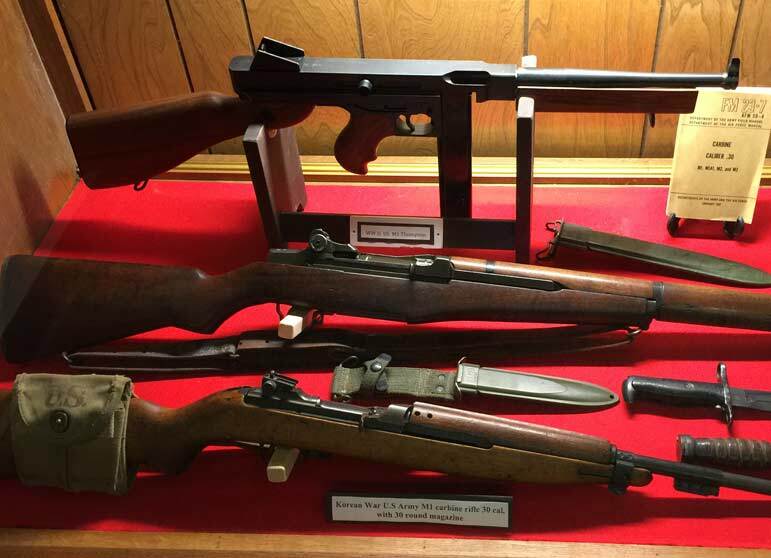 Rare vintage weapons and equipment are also on display.